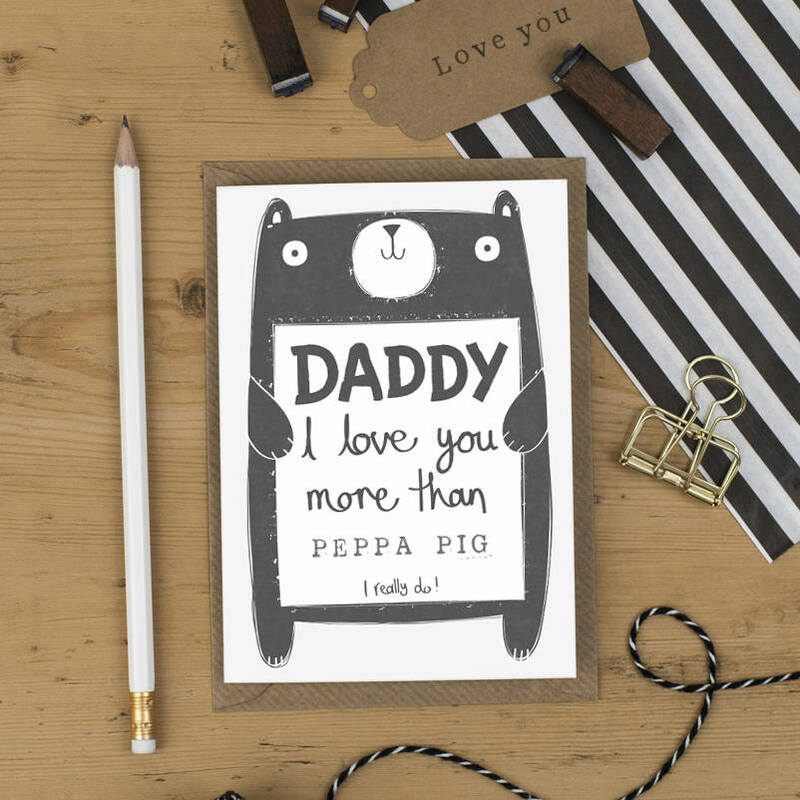 A personalised card perfect for a birthday for a much loved Daddy! 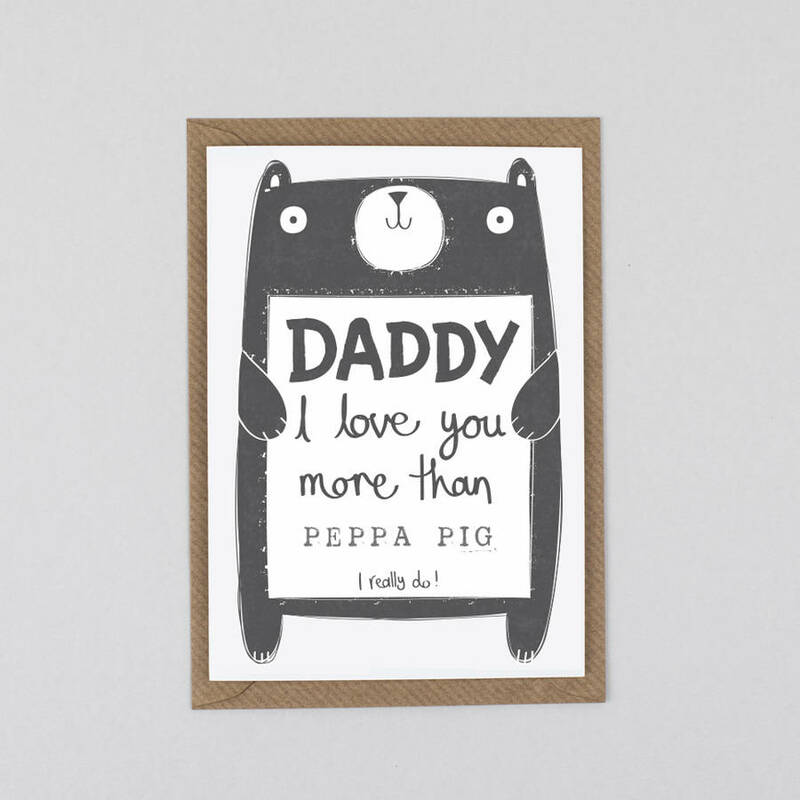 Give a Daddy card to remember with this personalised card. 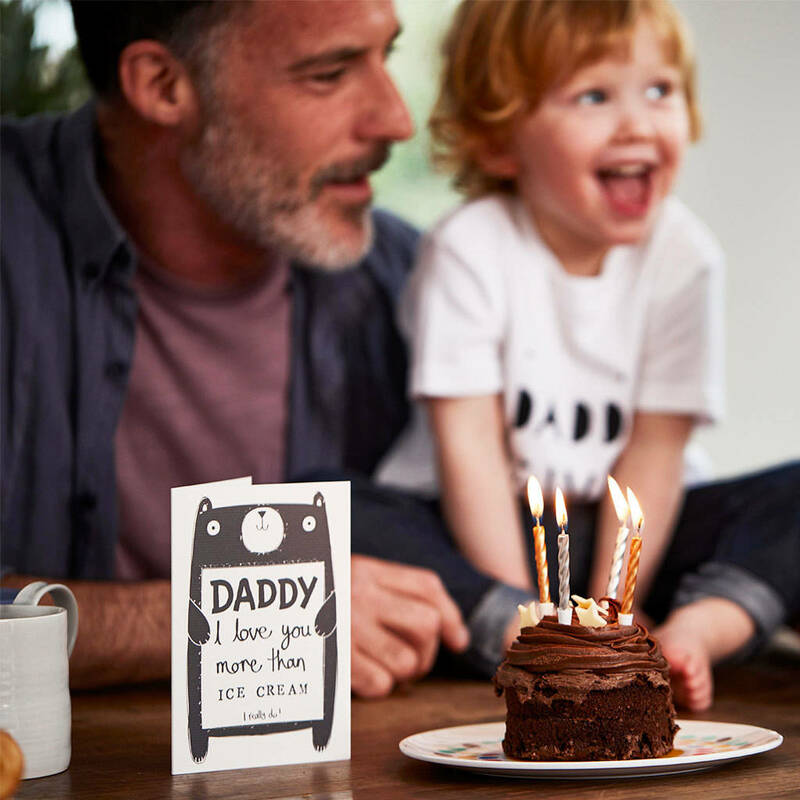 You can chose up to 20 characters to personalise this Birthday card with your chosen wording..... how much do your little ones love their Daddy!? More than chocolate? or football? 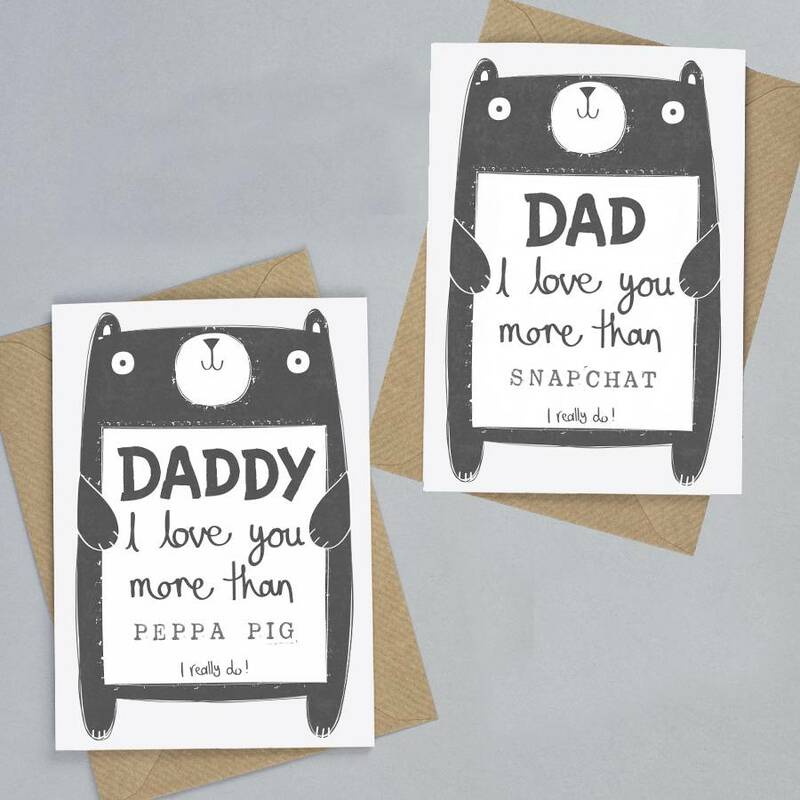 or even Peppa Pig!? Each card is individually hand stamped with your chosen wording to make this Birthday card extra special. 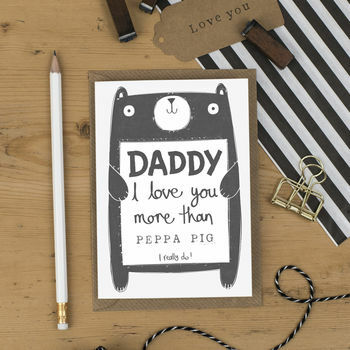 Part of Tandem Green's 'Bear Hugs' range this card is stylishly designed by published illustrator and designer Beth Gunnell. This card has been left blank inside so you can add your own message. The wording of your choice is hand ink stamped on the front of the card. Please provide the relevant information when ordering. 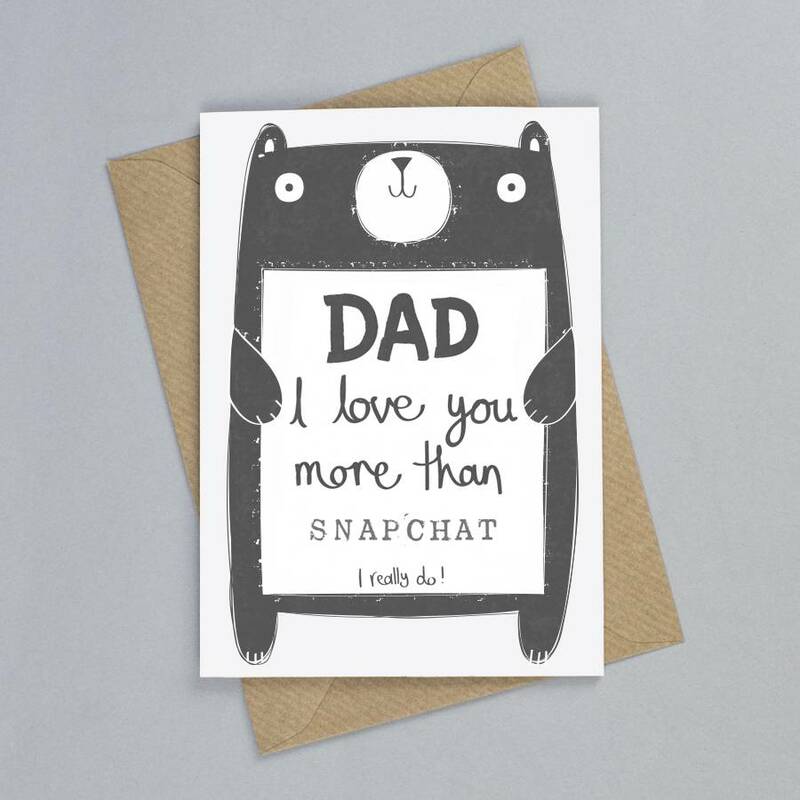 You can choose to send this card direct to the recipient. If you choose this option your message will be neatly handwritten in black pen. Please send a direct message with the details to be written inside if this option is chosen. 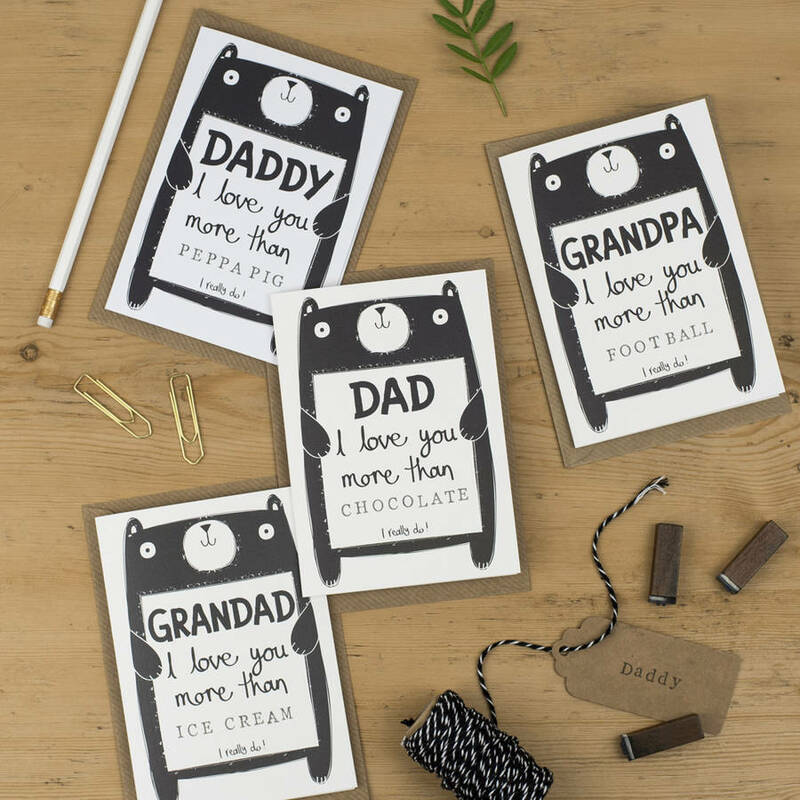 All of our cards are designed in our home studio. They are printed in the UK on 340gsm FSC card and come with a kraft envelope wrapped in a cellophane bag for protection.